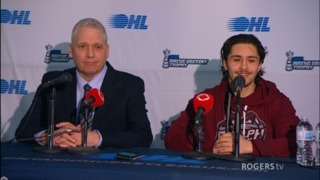 The Guelph Storm came out of the locker room determined to break their two-game losing streak at home this Friday. 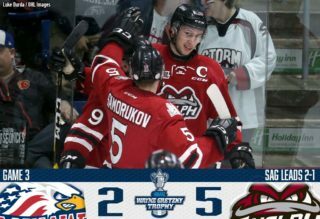 Anthony Popovich made 45 saves and Mark Woolley scores his first OHL goal as the Storm managed to pull off a 2-0 win against the Bulldogs at the Sleeman Centre. Both teams were unable to capitalize on their power plays. The Storm went 0/1 on their opportunities while the Bulldogs went 0/2 on their chances and couldn’t break through Popvich’s brick wall. The first period started off slow for the Storm only managing 2 shots to the Bulldogs 20, but they still came out on top heading into the intermission thanks to Woolley’s top shelf snip with 7:30 left in the period. Cam Hillis and Owen Lalonde picked up assists on the play. Cedric Ralph gave the Storm a 2-0 lead just two minutes into the second deflecting Dmitri Samorukov’s shot pas goaltender Kaden Fulcher. The Bulldogs scored the only goal of the third pulling the game within one. 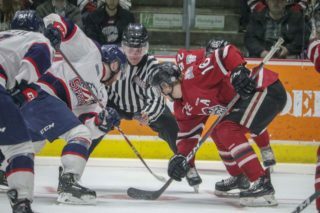 Pulling their goalie in the last minute of play, the Bulldogs had one final rush, but it was denied by Popovich and the Storm would end up with the two points, defeating the Bulldogs 2-0. The Storm are back in action this Saturday in Sagniaw before they head to Sault Ste. Marie on Sunday night. 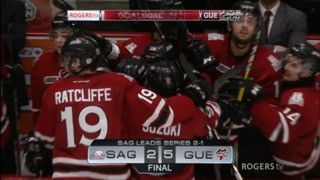 The next home contest for the Storm is next Friday, October 27th when the Erie Otters visit the Sleeman Centre. Don’t forget to donate any gently used winter clothing as Oosterveld Heating and Air Conditioning is hosting the second annual Winter Wear Drive in support of Hope House. 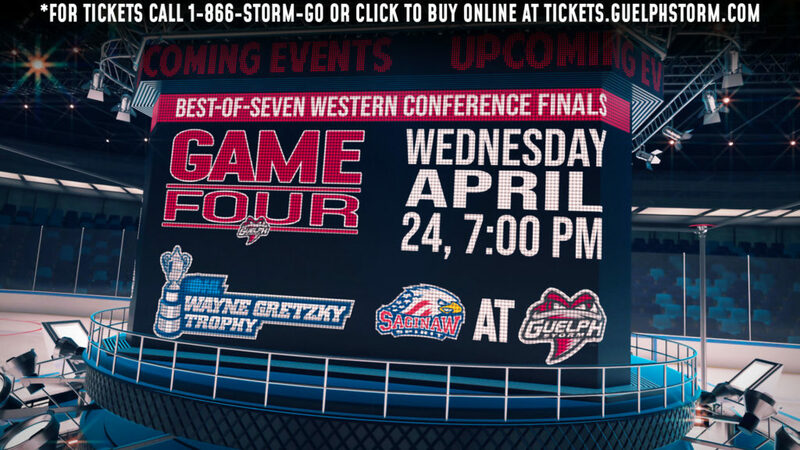 You can purchase tickets online or by calling or visiting the Storm Box Office at 519-837-9690.